We are happy to announce the release of Characterization Suite 4.1. The Characterization Suite is the software that controls the measurement hardware Paios and Phelos. It contains many improvements for better user-experience and new features allowing our customers to do great research. Measure the spectrum of OLED under different angles with Phelos. The Peltier cryostat has a temperature range of -50°C to 80°C. No liquid nitrogen is required, allowing low temperature measurements over days. Use all features of Setfos 4.6 in combination with the Fluxim Characterization Suite. 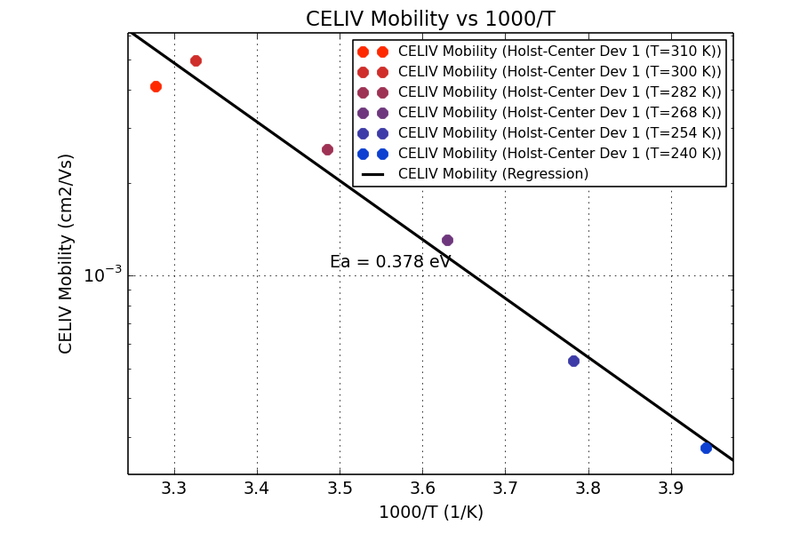 Devices with mobile ions (for example perovskite solar cells) can be simulated. The aio-file format has been optimized to reduce the loading time when opening files. Easily create Arrhenius plots from temperature dependent measurements to extract activation energies. Customers using Paios with the SMU-module can now perform constant current experiments. So far only voltage limits were allows for IV-curves. In sequential IV-curve measurements now also current-limits can be defined. This can be useful when measuring IV-curves on various temperatures. Measure impedance spectroscopy or IMPS at open-circuit voltage. 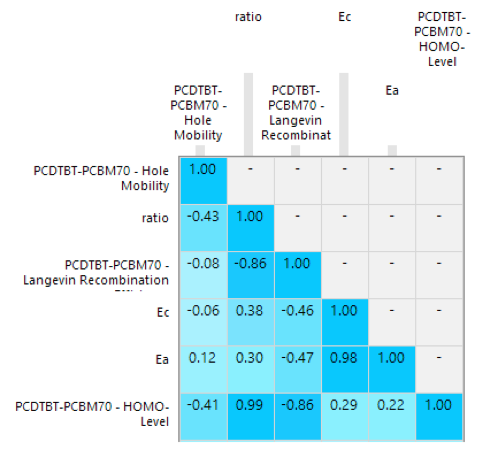 The parameter correlation matrix from a global fit can now be optimised, what allows better comparability. New math options to post-process measurements like integration and derivation. Arrhenius plot created by the characterization suite 4.1. Optimised correlation matrix allows better comparability between data since the target weights have less influence. FLUXiM is a provider of device simulation software and characterization platforms to the display, lighting, photovoltaics and electronics industries worldwide.